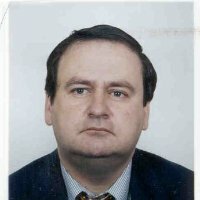 Giovanni Barone-Adesi is a professor of finance theory and director at the Swiss Finance Institute, University of Lugano, Switzerland. He studied electrical engineering as an undergraduate at the University of Padova. Later he received a MBA and a PhD from the Graduate Business School at the University of Chicago, specializing in Finance and Statistics. Before moving to Lugano he has taught at the University of Alberta, University of Texas at Austin, the Wharton School of the University of Pennsylvania and City University. His main research interests are derivative securities, asset and risk management. He is the author of several models for valuing and hedging securities. Especially well-known are his contributions with Whaley to the pricing of American commodity options and his filtered simulation approach to the measurement of market risk, developed while advising the London Clearing House. His more recent works concern the pricing of index options, barrier options, gold derivatives. Currently he is president of Open Capital, a fund management firm. He has been an advisor to several exchanges, financial intermediaries and other business organizations in the areas of risk management and financial strategy.